Last night, I finally got to check out Steel City Pops in Decatur. I had been wanting to try this place for the longest time and I was so happy I finally got to. 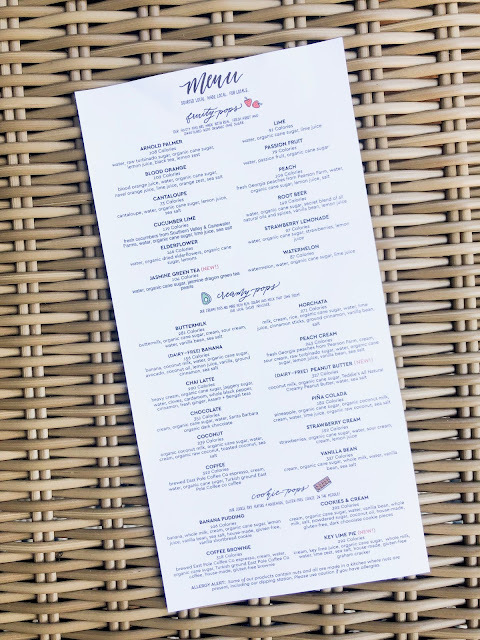 They just released their Summer menu, so we got to sample some of the delicious new flavors! 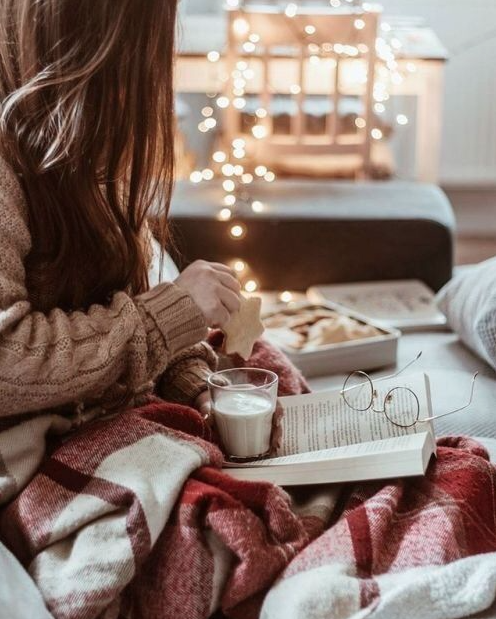 These pops are filled with all the best things! Don't forget that you can customize your own pop with all different kinds of toppings or you can pick one of their customized pops off the menu. 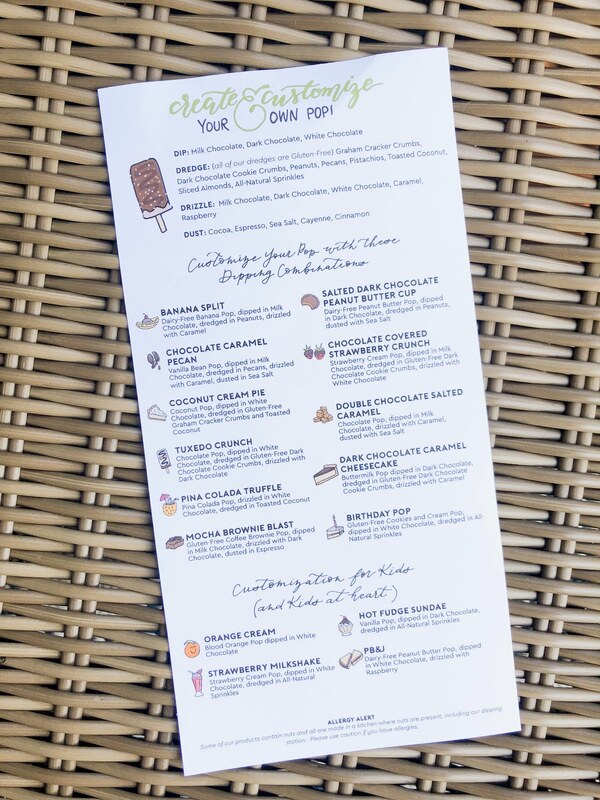 I've gotta go back and try the Salted Dark Chocolate Peanut Butter Cup! The Banana Split is one of their customized pops. 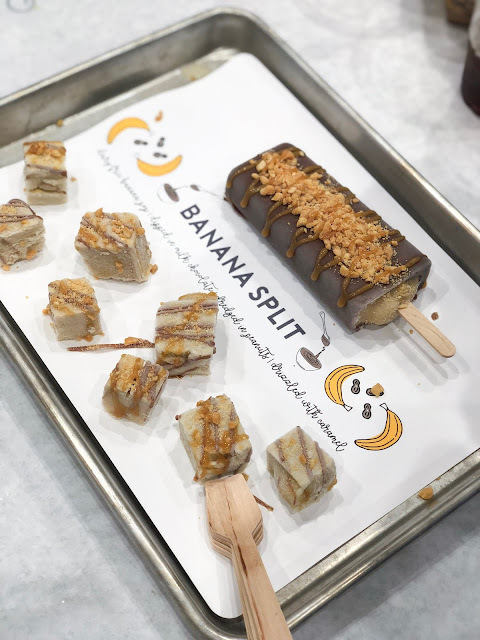 It is their banana pop dipped in milk chocolate, topped with peanuts and drizzled with caramel. It was so good! 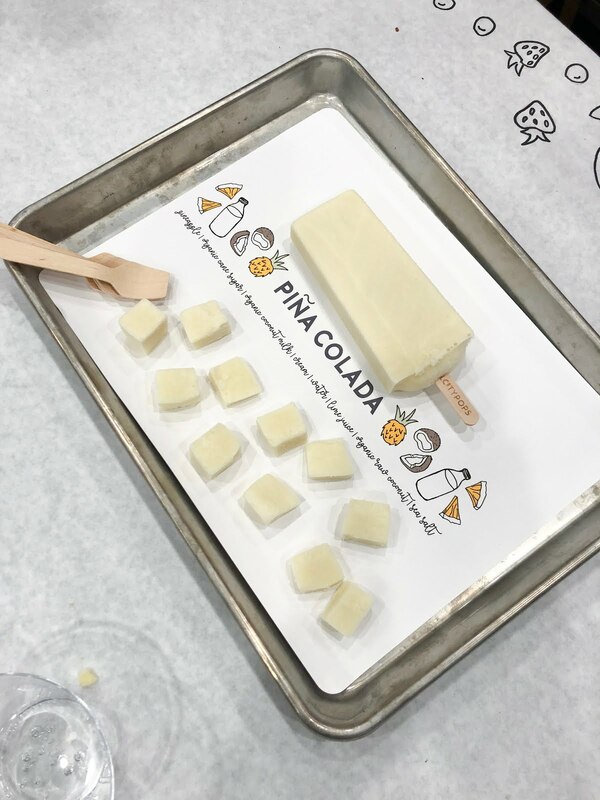 The Piña Colada is one of their creamy pops made with fresh pineapple and coconut milk. This was refreshing and would go great in a poolside cocktail! 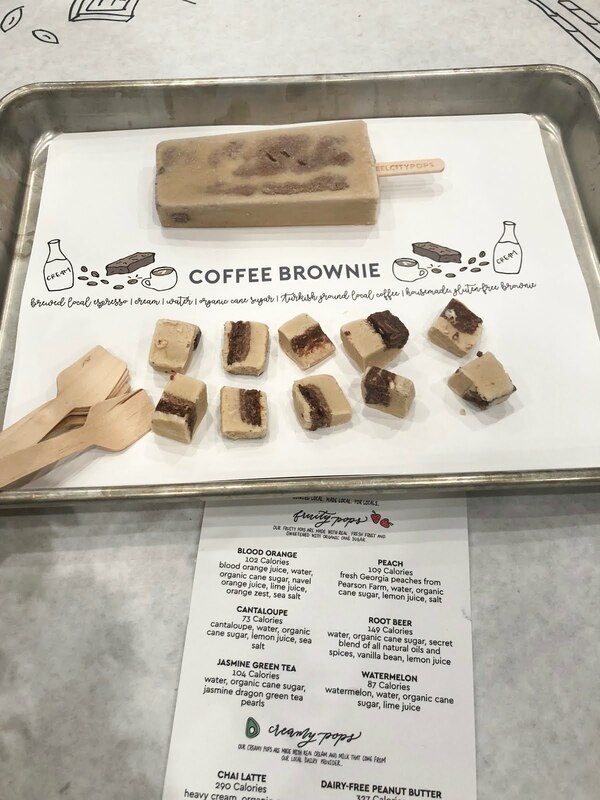 Coffee Brownie is one of their cookie pops...because duh it has a whole brownie inside! 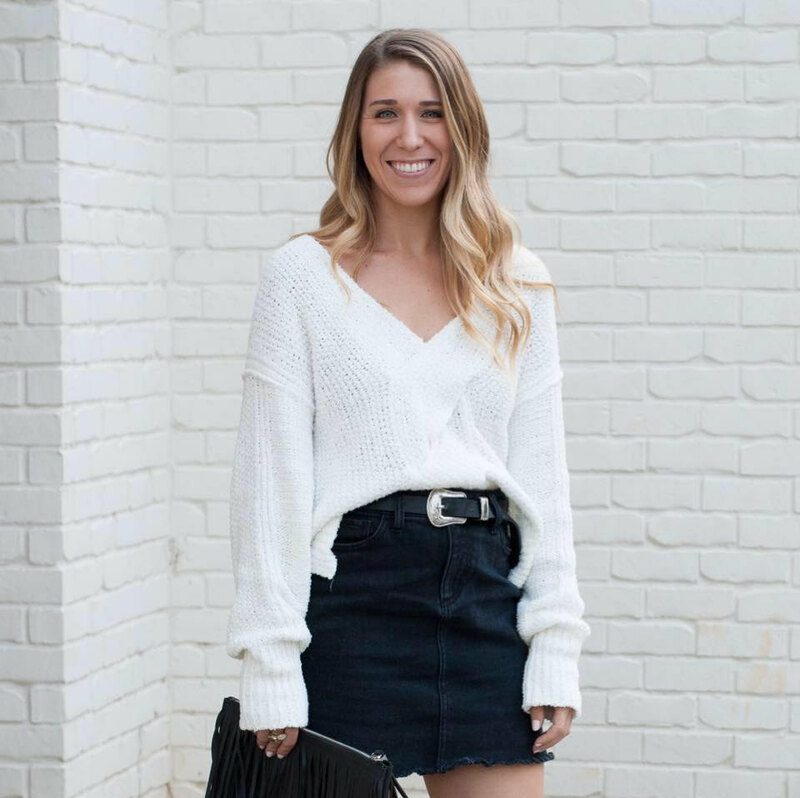 This was one of my favorites of the night, but I am also a sucker for cookies. It is filled with East Pole Coffee Co (brewed in ATL) espresso, East Pole Coffee Co coffee and a house-made gluten-free brownie. Another one of my favorites was the Peach Cream. 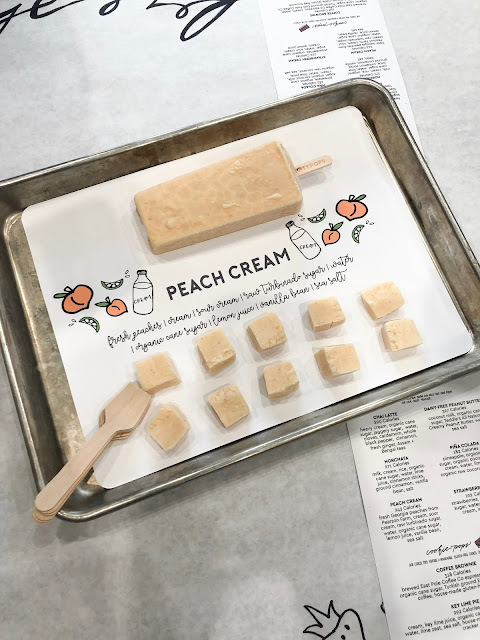 The plain Peach pop was good, but the cream in this made it even better! 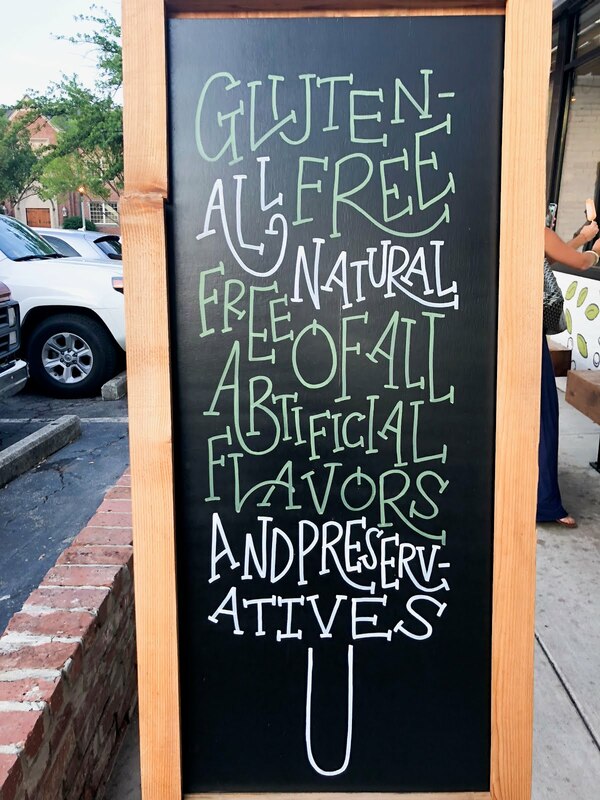 It is made with fresh Georgia peaches from Pearson Farm and local cream. 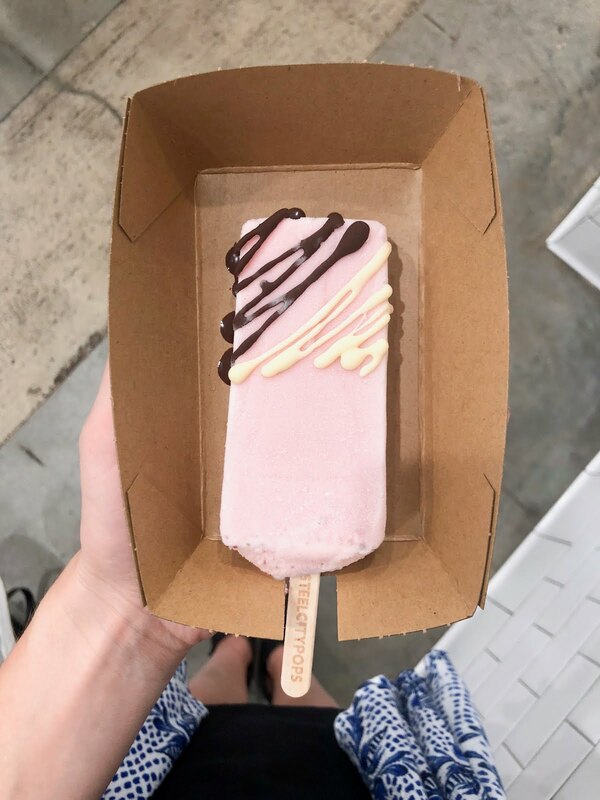 Another pop I tried was the Strawberry Cream topped with a little milk chocolate and white chocolate drizzle. This pop is made with fresh strawberries and local cream. For all you strawberry ice cream lovers out there, this is the pop for you! 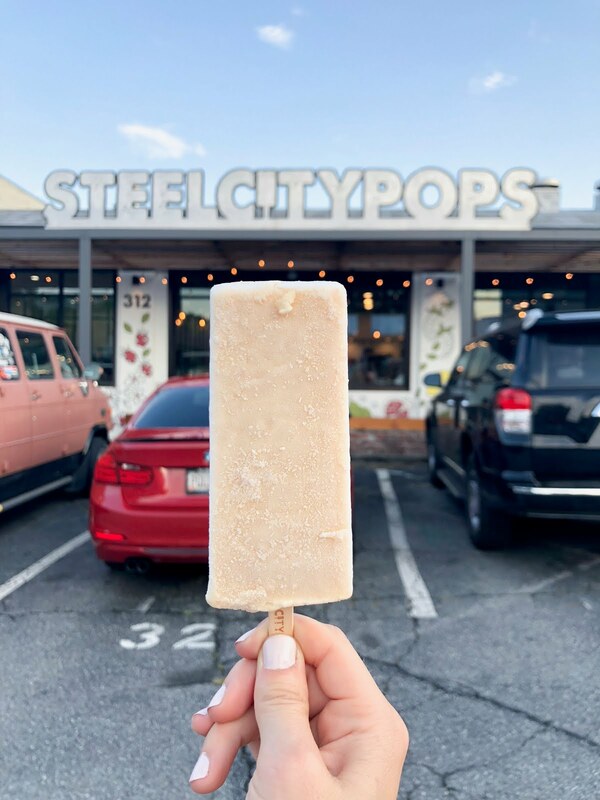 If you haven't tried Steel City Pops out yet, you need to add them to your must visit list! Plus, they are right in downtown Decatur for the perfect dessert after a delicious dinner at Iberian Pig, No. 246 or The White Bull.